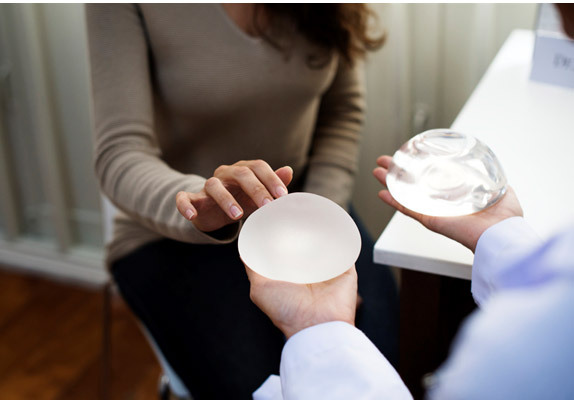 During your consultation, Dr. Jacobson will discuss many types of implant options, including textured breast implants. The textured implant surface is thicker and firmer and is a result has less of a natural sophisticated feel to it. Textured implants refer to implants that have a roughened surface. Most implants are smooth and have a smooth glistening surface, but a textured implant has a roughened surface. This service at one time was thought to prevent capsular contracture or prevent the tightening of scar tissue around the breast implant which causes deformity at times. We now know that the textured implant does not prevent the capsular contracture and as a result most surgeons have moved back to smooth implant surfaces. The smooth implant surfaces are much better for the patient because it has a much better feel. The textured implant surface is thicker and firmer and as result has less of a natural sophisticated feel to it. Dr. Jacobsen uses smooth breast implants whether they are saline or silicone gel the shell or the capsule around the implant is smooth and very thin and as a result has a much better feel to it. You can see that this breast implant has a roughened texture to it. Therefore, it appears white. If you were to feel this, it would feel like a very soft sandpaper or like cloth. You can see here the difference between a smooth implant and a textured implant. I've had four visits with Dr. Jacobsen over the past 2.5 years, the first after the removal of 1/3 of my bottom lip from skin cancer, and the last for a biopsy of possible skin cancer on my nose. Each time, he has treated me with kindness and respect, and also had a level of confidence that made me feel relaxed with whatever he thought best for the particular problem. Thus far, the results have proven him correct. He has quickly become my go-to for any problem or condition that may create a cosmetic "issue". His office and staff make you feel welcomed and comfortable, and he promptly and generously responds to questions or concerns by email. One visit and you'll find these things out yourself.